Elegant cassette design that recesses into the ceiling. They are a good option if wall space is not available. Only the grill shows in the ceiling. They are also very effective at cooling. 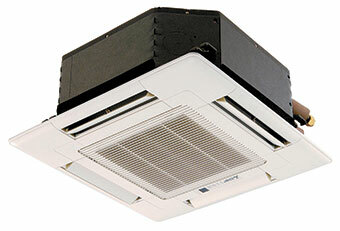 Contact Air Con today for a free assessment on your Cassette Heat Pump needs.